At least 6 bottles of classic/reserve wines per shipment - guaranteed! Member-choice opportunity to customize half of each shipment - get the wines you want every time! Each Spring and Fall we'll let you know what we intend to ship. Planned shipments will typically cost $480 - $530. 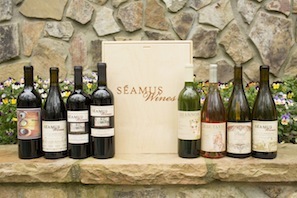 Each shipment will include at least 6 limited-production Classic or Reserve wines, which are guaranteed. In addition to the guaranteed Classics/Reserves, you'll also have the opportunity to log into your online account and change the other 6 bottles if you wish, to whatever wines you want. You can select more Classics/Reserves, or perhaps try some of our larger production, specialty wines - your choice!